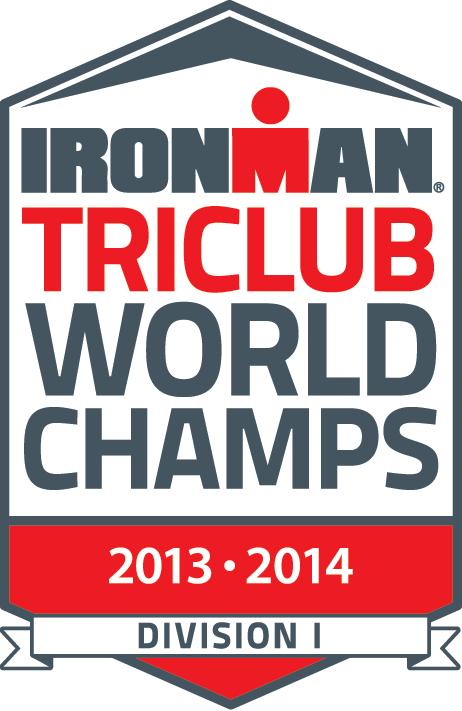 Endurance Nation Crowned the 2014 IRONMAN® World Championship TriClub! We are proud to announce that Endurance Nation has been crowned Two-Time World Champions of the Ironman® TriClub Program (Division I-Clubs 400+ Members). Our 2014 margin of victory was more than 300,000 points over second place. This effectively makes Endurance Nation the world’s largest, most active, and fastest online triathlon team in the world, for the second year in a row. Endurance Nation is a passionate and active community of age group triathletes that help each other not only reach the finish line, but make each other faster and smarter as well. What started in 2007 as two coaches and 80 athletes has grown to an active community of more than 700 members, members who have earned their second consecutive World Championship by virtue of their racing, volunteering and engagement. Head Coaches Rich Strauss and Patrick McCrann coach the Team via a unique combination of training plans (50+ and growing! ), hundreds of accompanying resources, and online support. We provide individual customization via screencasts, phone calls, our robust forums and other tools. Driven by our commitment to outstanding customer service, the result is proven triathlon coaching offered at a fraction of the price of traditional one-on-one coaching. From Day One, Rich and Patrick fired themselves as the smartest guys in the room, empowering their athletes to share their knowledge, experience, and perspective with their peers. The result is the highest quality community of knowledgeable, supportive triathletes in the world. Over 50% of our members have been with us for over two years. Many have been with us for over five years. Teaching our athletes how to race – Our Four Keys of Triathlon Execution DVD, originally created in 2008, remains the only product of its kind and has been viewed by over 15,000 athletes. It’s backed by a comprehensive race execution process we’ve created for and with our members, ensuring that every Endurance Nation athlete knows how to execute on race day. Creating an impactful race weekend experience for the Team and their families – We field 15 to 60+ athletes at nearly every US long course triathlon event. These athletes train with, learn from, and support each other virtually for months before their shared race. And the size of the team and our commitment to supporting them every way allows us to create for them a unique race weekend experience, complete with a team dinner, and support for their families via our EN Kids and EN Mate (new for 2015!) programs. Finally, the Coaches attend several races per year to deliver our Four Keys Talks to 200+ athletes at each event. The result is a unique community of athletes coming together for great racing fun nearly every weekend of the triathlon season. Since 2011, Endurance Nation has provided all of this for a membership fee of only $109 every four weeks. The Team is open now and accepting new members for the 2015 season. Just click on the banner below to begin your FREE, 7-day, no-risk trial membership. If you decide to remain a member after your FREE trial membership, you’ll pay only $109 every four weeks and will never raise your rate, ever. However, we wanted to let you know that members joining after February 15th, 2015 will pay $129 every four weeks vs locking in $109 for life. Yes, we’re giving you a six week advance notice of a price increase, offering you a FREE 7-day trial, an opportunity to save $240 per year, and lock in your rate for the life of your membership.